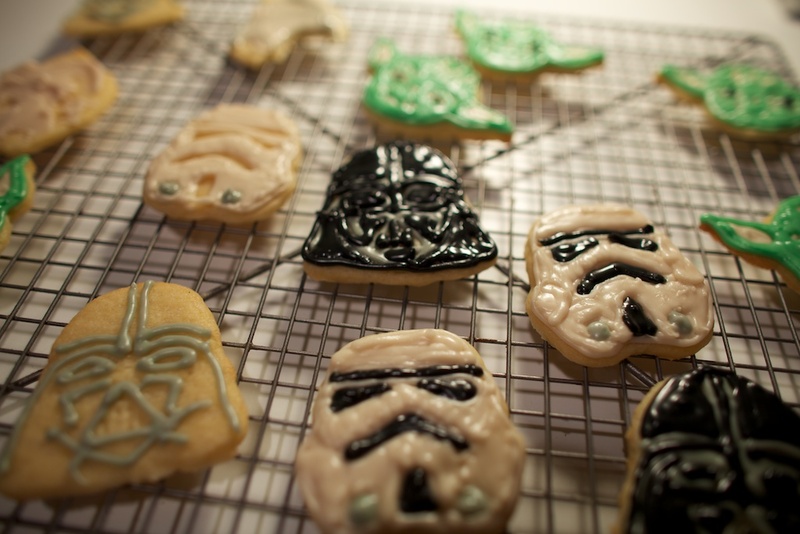 Last night I made Star Wars cookies. I wouldn’t exactly say I’m a huge Star Wars fan, although I really like the Jawas and R2D2. Shawn on the other hand, he likes Star wars. We have a bunch of little Star Wars characters around our apartment. on many occasions. It has worked well for me, but it’s definitely a bit more involved. The recipe from VCIYCJ was much simpler to put together and easy to work with. The cookies were fairly soft and very sweet. Perhaps next time I’ll cook them so they’re a bit more crispy. Also, I highly recommend chilling them a little bit longer after rolling them before they bake so they don’t spread. Part of the reason I wanted to make these guys was to practice my cookie decorating technique. Yeah. I definitely made my frosting too thick. While usually I have the opposite problem, things running where you don’t want them to go, it took a lot of effort to get these guys frosted. I got in a little bit of trouble for not decorating any of the Boba Fetts, Next time! I would love to say that they came out perfectly. They didn’t. They were cute. They were yummy. That’s accomplishment enough for the first attempt. I’ll report back when they come out as I envision. I do have to mention one other thing, well, because I’m really excited about it. Cute and Delicious was mentioned as one of the Top 7 Vegan Blogs by Native Foods. Oh how could I not be flattered when I am complimented by one of the most delicious vegan restaurants in southern California? Not to mention, they love my cats. 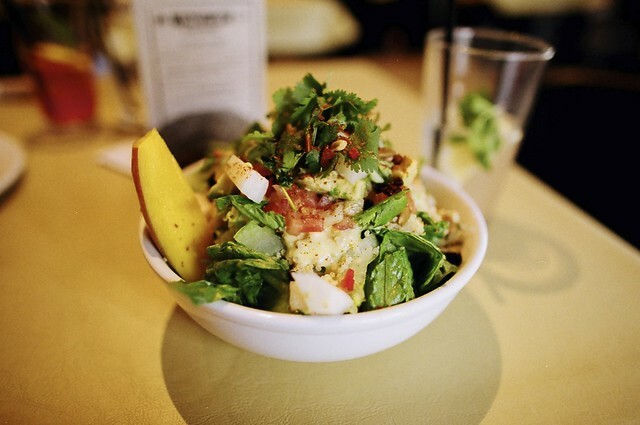 Have you been to Native Foods? It’s been a favorite of mine for quite some time. Check out this awesome Ensalada Azteca I had when we visited the Native Foods in Palm Springs a few weeks ago. Yum! You deserve the mention! Your blog is great! I looooove Native Foods, its one of my favorite restaurants! those cookies are way too adorable!! too cute to even eat. i like your new hair, as well. Ohh! Thanks so much for posting this. 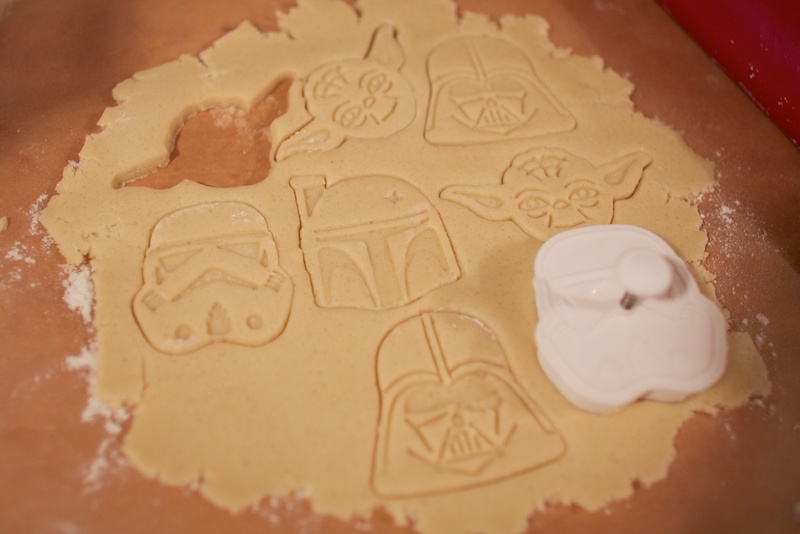 I just got those cookie cutters and was wondering which of those very two recipes to try with them! 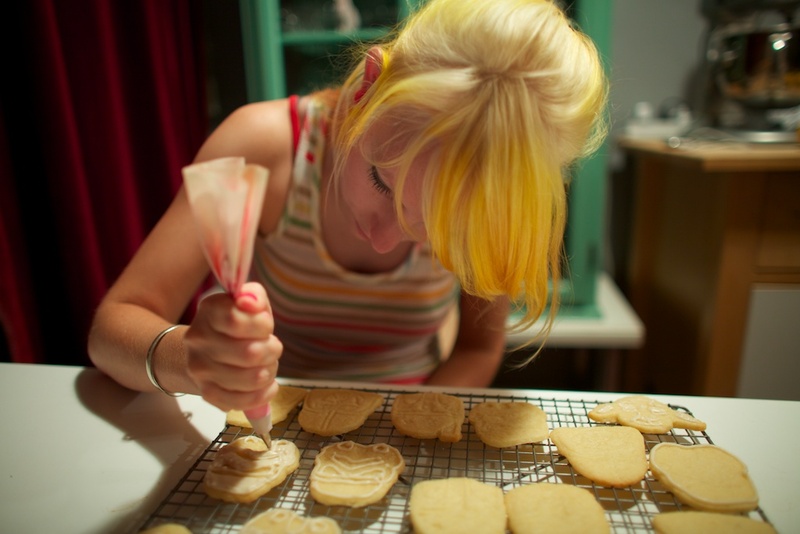 When I first moved in with my sister we made sugar cookies all the time. We found some really cute cookie cutters but none as detailed as those! Ghosts and apples mostly. Also, your hair looks super pretty. I think the cookies look amazing! The Luke Skywalker cookies I made once were called Skywalker Scrunchies and came from a Luke Skywalker activity book circa 1979. 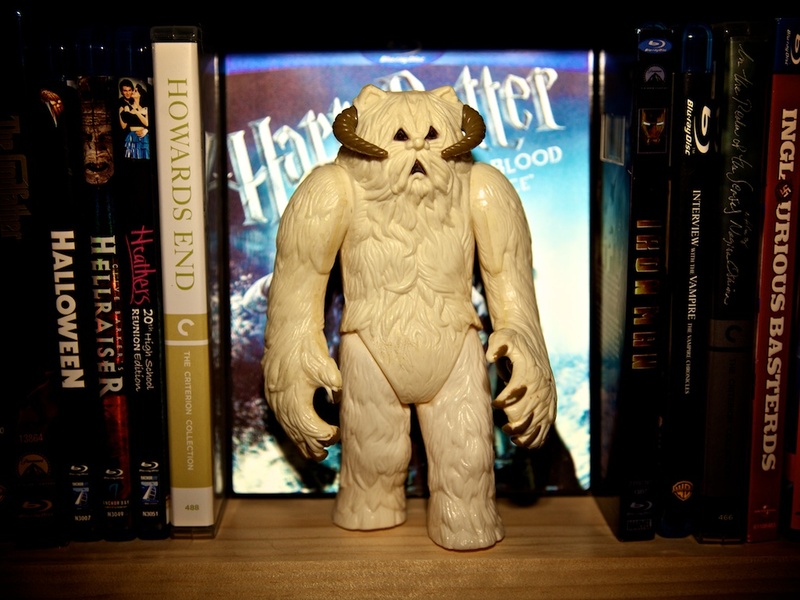 Here’s a link to the recipe: http://www.grahamgilchrist.com/starwars/swcook.html . I made them for a friend who used to bake them with his mom when he was a kid. Congratulations on the Native Foods recognition! I love Native Foods! Your hair is sooooo pretty! Those are some really chill cookies. Love the cookies, and you make me miss my hair. 🙂 adorable all around! omg, you are too cute (and delicious? haha sorry that’s creepy!). i love your new hair, girlie! Love the cookies! I still have all my Star Wars toys, but they’re back at my Mom’s house. And your hair looks awesome!